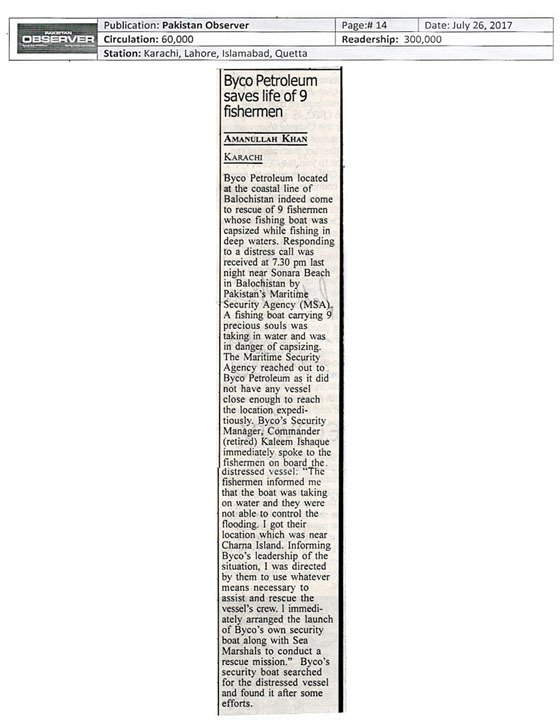 A distress call was received at 7.30 pm last night near Sonara Beach in Baluchistan by Pakistan's Maritime Security Agency (MSA). A fishing boat carrying 9 precious souls was taking in water and was in danger of capsizing. The Maritime Security Agency reached out to Byco Petroleum as it did not have any vessel closeby enough to reach the location expeditiously. 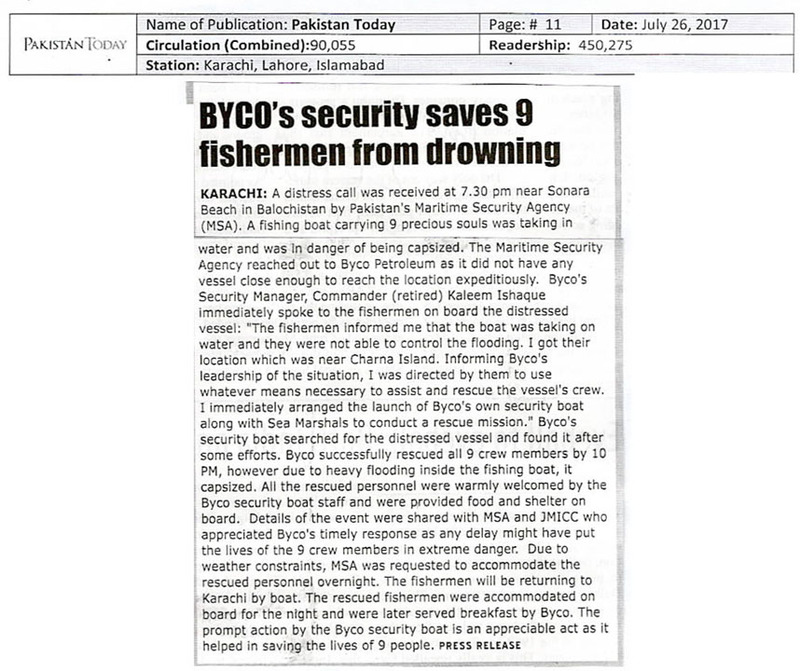 Byco's Security Manager, Commander (retired) Kaleem Ishaque immediately spoke to the fishermen on board the distressed vessel: "The fishermen informed me that the boat was taking on water and they were not able to control the flooding. I got their location which was near Charna Island. Informing Byco's leadership of the situation, I was directed by them to use whatever means neceesary to assist and rescue the vessel's crew. 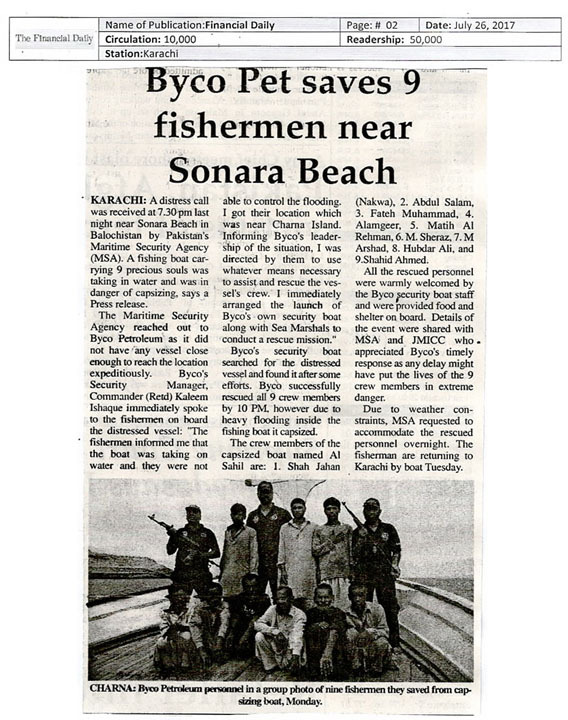 l immediately arranged the launch of Byco's own security boat along with Sea Marshals to conduct a rescue mission." Byco's security boat searched for the distressed vessel and found it after some efforts. 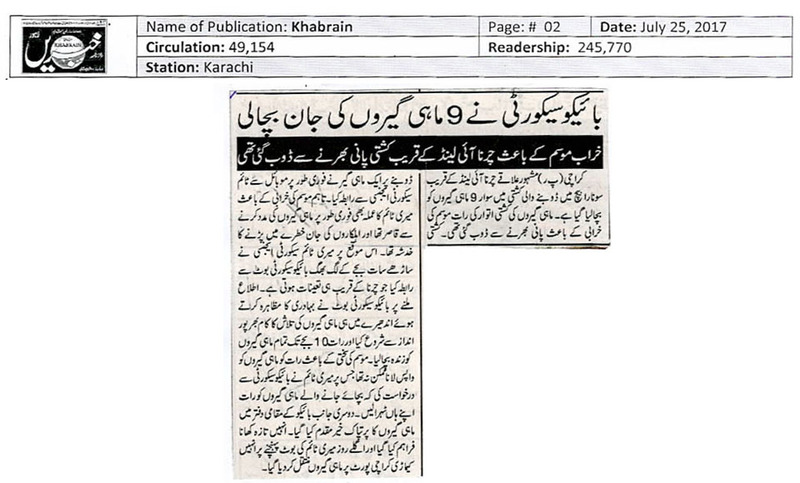 Byco successfully rescued all 9 crew members by 10 PM, however due to heavy flooding inside the fishing boat it capsized. 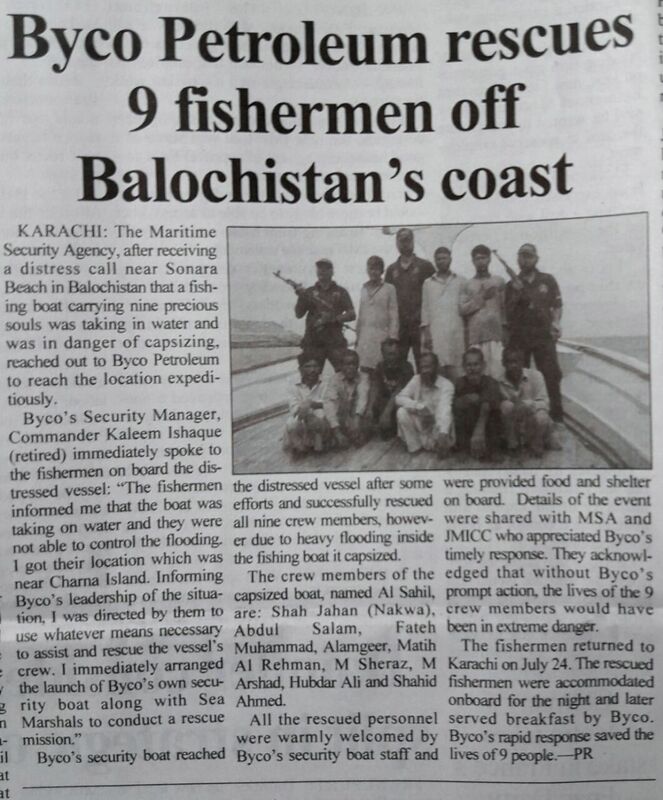 All the rescued personnel were warmly welcomed by Byco's security boat staff and were provided food and shelter on board. 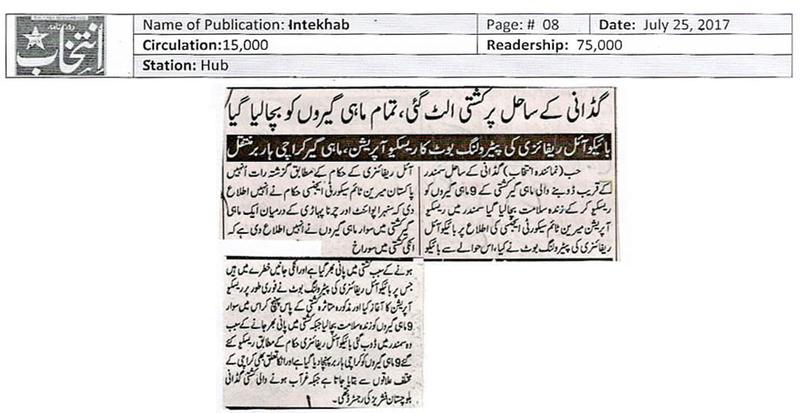 Details of the event were shared with MSA and JMICC who appreciated Byco's timely response. 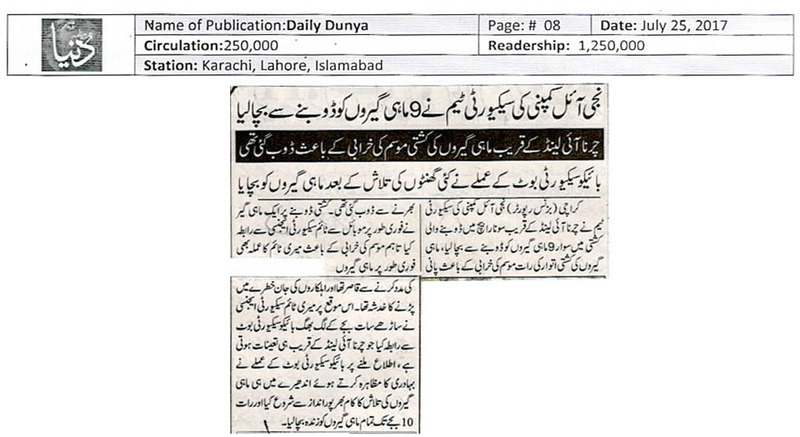 They acknowledged that without Byco's prompt action, the lives of the 9 crew members would have been in extreme danger. 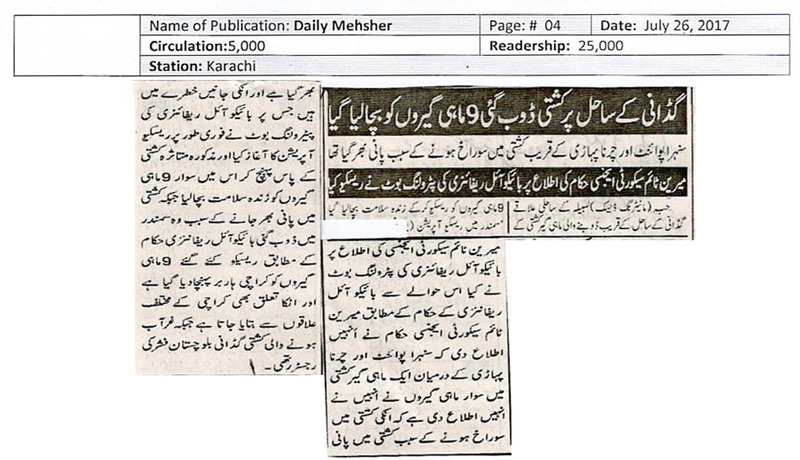 Due to weather constraints MSA requested Byco to accommodate the rescued personnel overnight onboard. 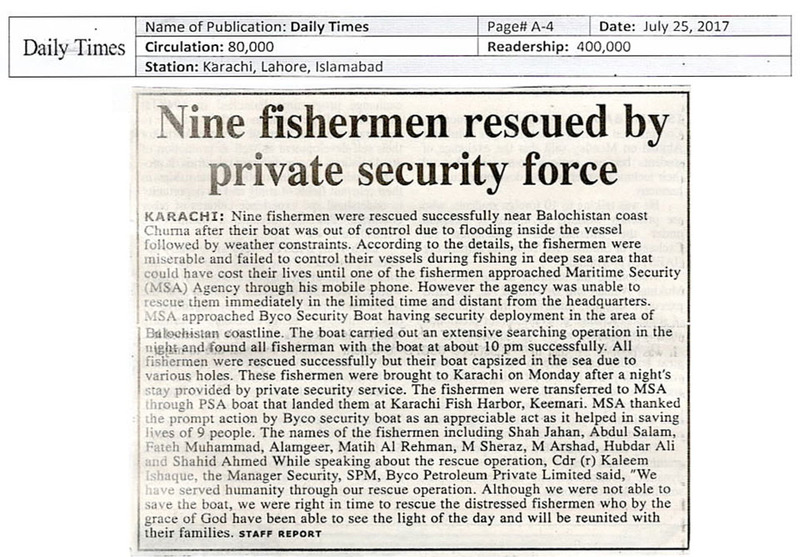 The fishermen returned to Karachi on 24th July. 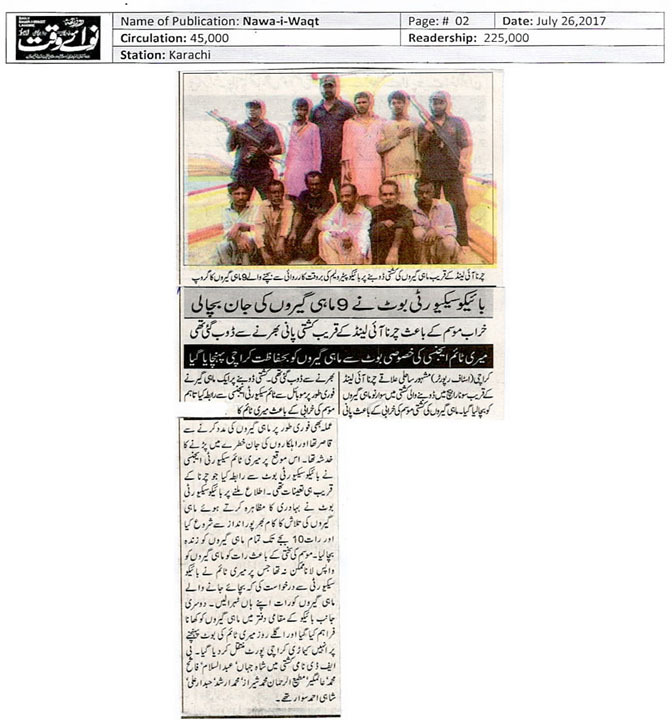 The rescued fishermen were accommodated onboard for the night and later served breakfast by Byco. 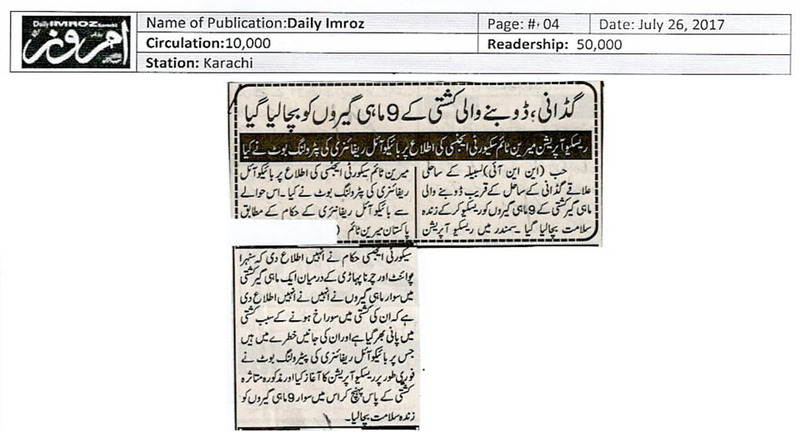 Byco's rapid response saved the lives of 9 people.